Choosing the right motorbike insurance – price or policy? We would all rather spend less when it comes to buying anything, whether you’re in the market for a new phone, laptop or insurance. At the start of 2015, Apple held a 43 per cent market share for smart phones in the UK, despite being one of the most expensive brands in the country. And that’s because of the perceived quality of the brand – so price isn’t always the discerning factor in purchasing. Consumers don’t mind paying a little bit more because there’s almost a guarantee of quality with the big American brand and there’s a familiarity with it, too. But when it comes to insurance, for motorbikes, home or travel, lots of people plump for the cheapest rather than look at the details of the product – in this case, the policy. Is that right? Do you do the same? What should you base your decision on instead? We lift the lid on whether price should be the most important factor in your motorbike insurance decision and discuss the other major points that should influence your final decision. There are three levels of motorbike insurance cover and they are Third Party, Third Party, Fire and Theft and Comprehensive. Third Party is the base level and gives you the minimum legal requirement of cover. So, in the event of an accident, third party insurance covers other people involved but not your own motorbike. Surprisingly, Third party is not always the cheapest level of motorbike insurance. Third Party, Fire and Theft is the middle level of cover. 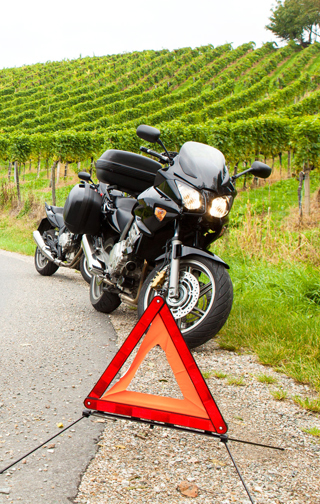 It covers other parties in the event of an accident and yourself if your motorbike is stolen or damaged by fire. Comprehensive cover is the highest level of cover and covers you if you damage your own motorcycle, as well as other parties. But it’s not always the most expensive form of motorbike insurance. In most cases, Third Party should be the cheapest level of cover as there are fewer instances where your insurer will have to pay out. But that doesn’t mean it’s the right choice for you. In reality, you should always go for comprehensive as it covers you more than any other type. However if your bike’s value is minuscule, then there may be no need to insure it for damage if you’re unlikely to ever make a claim on it. But there is always the risk of it being stolen and the expensive process of replacing the bike. You need to select the level of cover that suits you, rather than simply choosing the cheapest option. When you make a claim on your insurance there is a compulsory excess charge you must pay. This is determined by the insurer and is non-negotiable however there is always a voluntary excess charge. This needs to be agreed upon with your insurer. This means that you are paying to finance part of your claim and the more you agree to pay, the lower your premium. On the other hand, the lower your voluntary excess, the higher your premium. If you bump your voluntary excess up to £1,000, your premium will reduce dramatically but if you can’t afford to pay it in the event of a claim, there is no point in setting it so high. You should arrange a voluntary excess that is affordable rather than one that returns the cheapest monthly insurance premium. It’s important that you read what the policy covers and make sure all your needs are included. If not, when it comes to making a claim, and after paying a substantial amount of money in the process, you may not be covered for what you need. Some policies allow European travel and insure you when you are over there, others don’t. Some offer accident recovery, some don’t and some offer a replacement new bike if your current one is written-off. It’s important that you know what you need and want covered, as well as what your insurance covers itself. If not you could find that when you actually need your insurance, you can’t get the cover you need. So what are the most important factors? The most important influence on your motorbike insurance should be the suitability of the policy. You need to make sure that everything you need is covered, from there it’s up to you in terms of what else matters. Some insurers provide cashback options, gift vouchers and other bonus schemes that may tickle your fancy. Some riders will only trust insurers they know, so a policy from a famous insurance name like Carole Nash or Bennetts will be more preferable than a policy with some of the lesser known brokers. Generally however, price will be the deciding factor after a suitable quote has been found.